Stepping into the store, you are immediately presented with over a hundred ingredients front and centre. All available for your choosing at a mere $3.20 per 100g, it was most definitely a decision overload and made it just a tad overwhelming with how much we wanted to try! We went with some Dragon Breath Noodles cooked in their signature ma la tang, and three in a plethora of sliced meats, fresh Asian greens, and plenty of mushrooms and tofu. The result was simply spectacular. The giant bowl of ingredients promptly arrived at our table after placing the order. 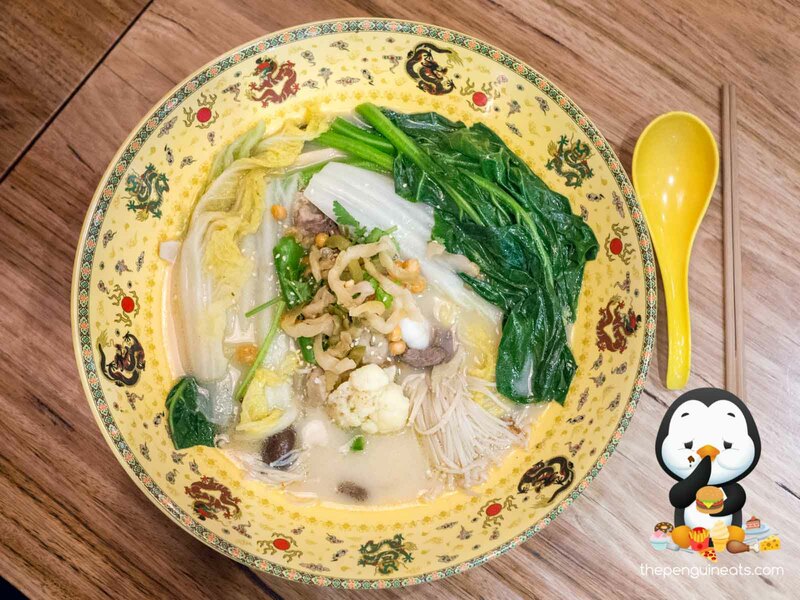 How the signature Ma La Tang soup deserves a special mention. Opting for the mild option, fiery red soup was thankfully not too spicy and provided an amazing aroma and plenty of flavour. Well-spiced and offering just enough chilli to create a tingle in your mouth, this for us was the perfect broth to go along with our noodles. We also sampled the Pork Bone Collagen broth, which was a much lighter though still incredibly fragrant choice. The noodles within were translucent, silky smooth and cooked to just the right, slightly chewy consistency, it’s thick width allowing the tasty broth to perfectly coat each strand of noodle. We found the sliced pork and beef tender and flavoursome, with a good mixture of fat and lean. The veggies were incredibly fresh and crisp. Coupled with sizeable, crunchy prawns and plenty of mussels, squid and quality fish fillets, there’s not a single mouthful that we didn’t absolutely cherish! 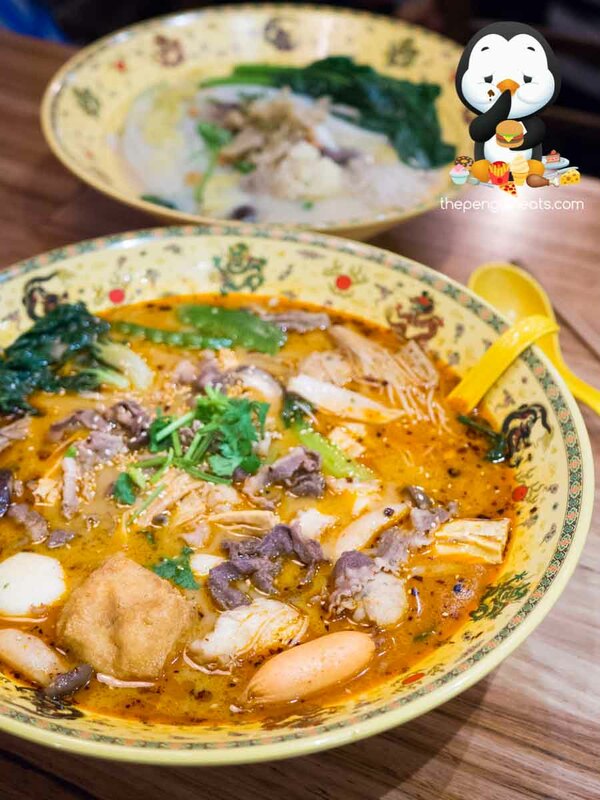 With an ability to customise to your hearts content, Dragon Hot Pot is pretty much perfect for a light snack or even a gluttonous meal like ours. 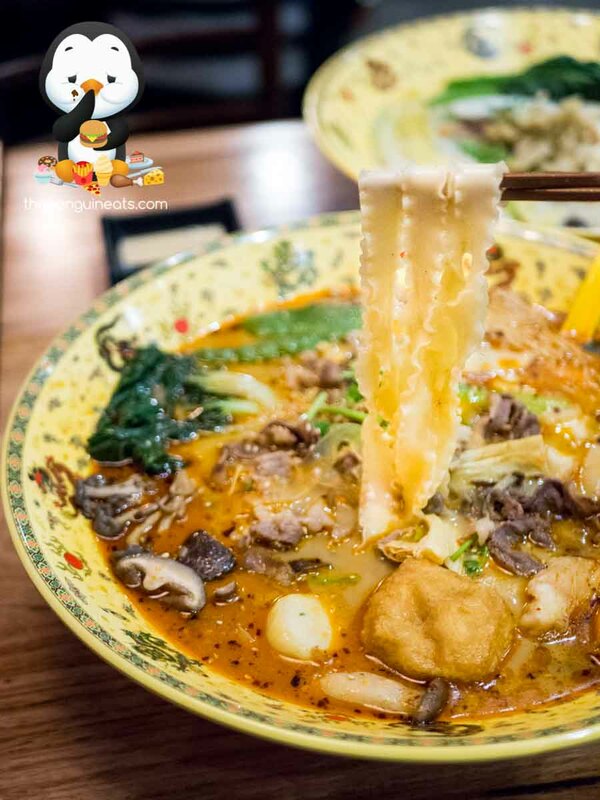 Amazing flavours, fresh ingredients, cooked right in front of you within minutes, it’s no wonder Dragon Hot Pot is a new hot spot! 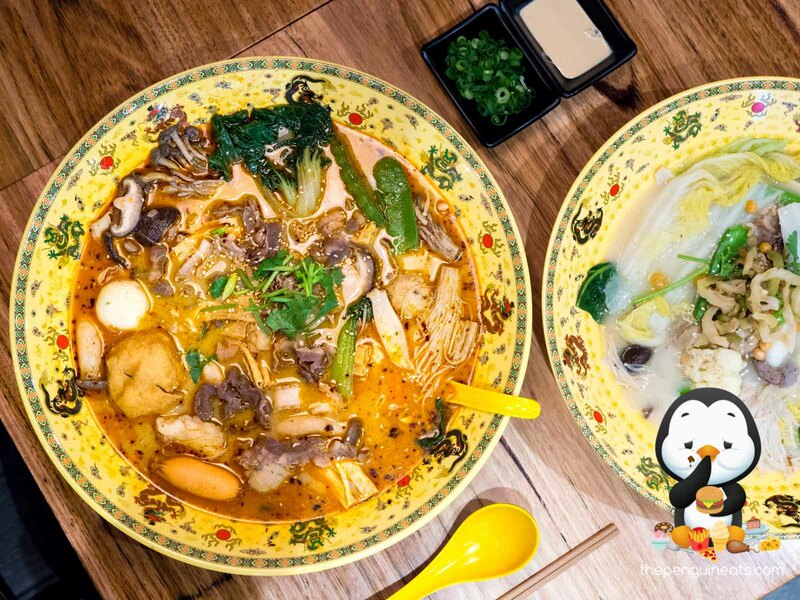 Penguineats would like to thank Dragon Hot Pot for inviting us.